imAndystorm.com. Singapore Lifestyle. Travel. Food. 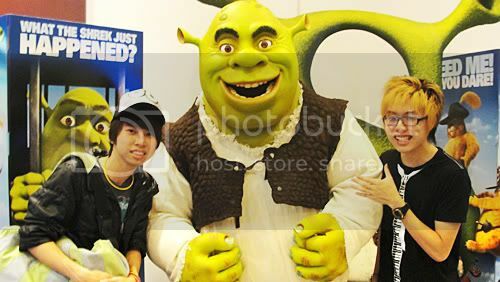 : Shrek 4 Movie Premiere! Can't believe i never even watch any of the Shrek movies before. AND I WATCHED THE FINAL CHAPTER!!!!! 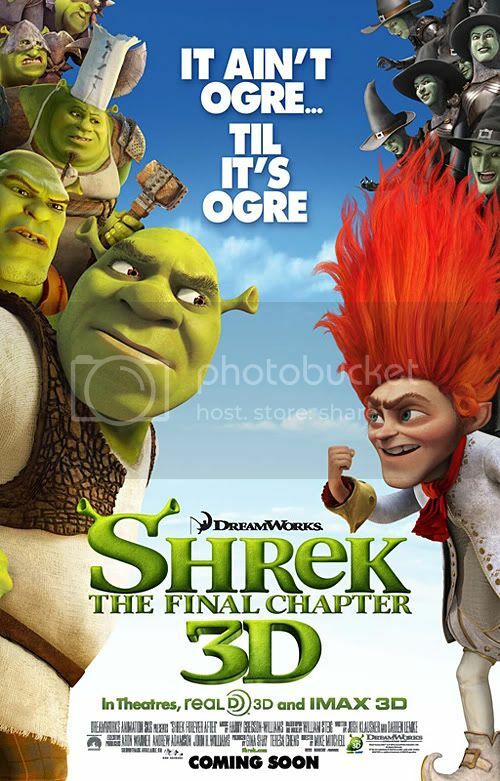 Shrek is tricked into signing a pact with the deal maker, Rumpelstiltskin, who offers Shrek a day where everything will be as if his adventures had never happened. Shrek can't resist the offer- all he wanted a day off to relax, to be a real ogre again. However, to get a day off, Shrek needs to give up a day from his childhood. After signing the contract, Shrek soon discovers he has been tricked: the day that he unwittingly gave away was the day he was born. Having never existed, Shrek finds himself in a twisted version of Far Far Away, where Rumpelstiltskin is now king. Donkey has never met Shrek, is forced into cart-pulling duty and fears him! Puss in Boots has become fat and lazy! 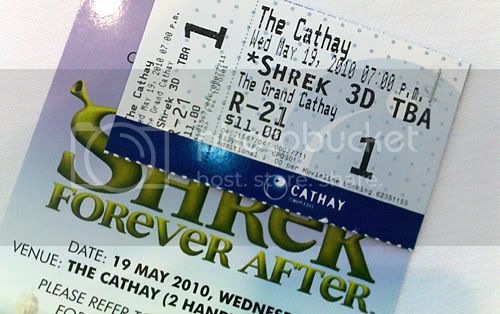 Fiona is still under her curse from the first movie (to become human by day and ogress by night until she receives "True Love's Kiss") But even though all seems lost, there's still hope -If Shrek shares "True Love's Kiss" with Fiona by the sunrise of the next day, the contract he signed will be rendered void and the original timeline will be restored. However, Rumpelstiltskin will do anything to stop Shrek! 3 out of 5 Gingerbread man!